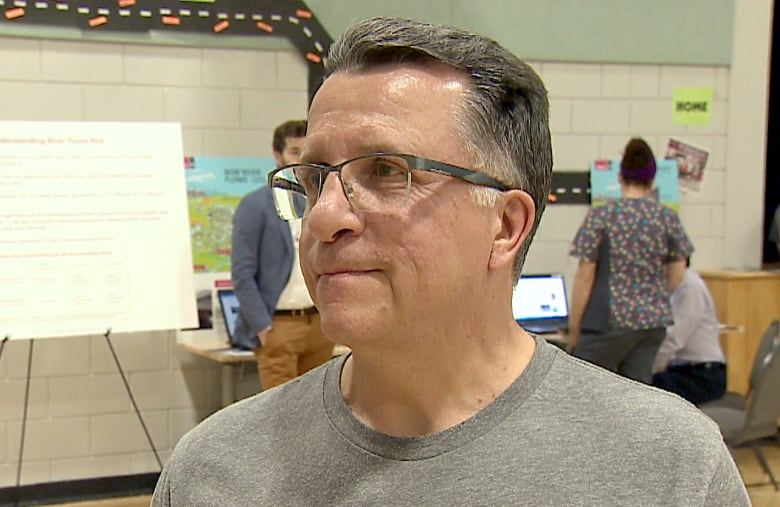 Calgarian Ben Smith said it was partly curiosity, but mostly a sense of necessity that made him join about 50 other attendees at the first of two flood preparedness open houses held by the city. Calgarian Ben Smith remembers the fear he felt the night his family had to flee from their Riverbend home during the 2013 flood. He said he recalls, "how unnerving it was, getting woken up at 1 o'clock in the morning by a police officer hammering on the door and asking us to leave in 30 minutes." Smith said it was partly curiosity, but mostly a sense of necessity that made him join about 50 other attendees at the first of two flood preparedness open houses held by the city on Tuesday. The open houses are intended to answer questions and address any fears residents have about this year's flood risk. 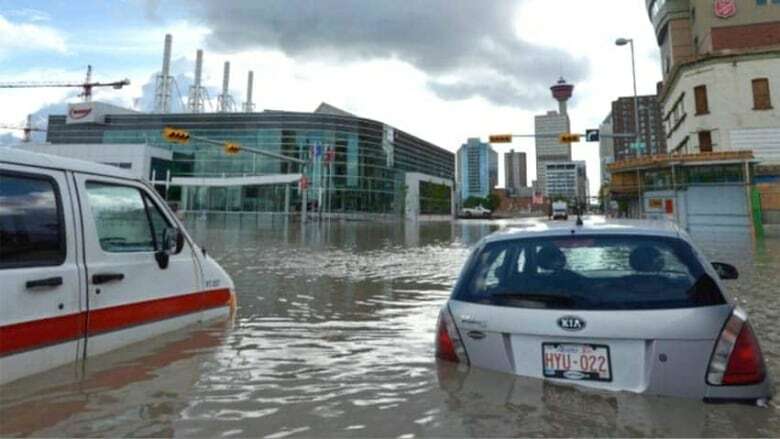 Sandy Davis, a planning engineer with the city, says May 15 to July 15 is considered flood season in Calgary. "We know that a lot more people are aware of the risk in Calgary, because 2013 happened it was a wake-up call," she said. Davis said she's been hearing inquiries from citizens about the high snowpack, which is higher than it was in 2013, but not as high as it was in 2012. "Our messaging is that even though there's a high snowpack, that's not what drives river flooding in Calgary," Davis said. "It's really the big systems of rain." Davis said the city has, on average, 12 to 24 hours of notice that heavy river flows are on the way, making citizen preparedness crucial. "It's quick and that's one of the reasons it's so important that people understand and prepare," she said. Smith said he feels the responsibility to prepare his family, should they have to flee their home again. "I don't think we can afford to have our government agencies do it all for us. So if we're not prepared to learn we're going to suffer the consequences," he said. Davis said citizens should visit the city website for information on how to prepare and download Calgary's flood preparedness guide. Tips include downloading emergency alert or river monitoring mobile apps, and having a 72-hour emergency kit ready to go. Tuesday night's event was for communities along the Bow River, and the event at 7 p.m. Thursday will be held at the Elbow Park Community Centre for those living near the Elbow River.